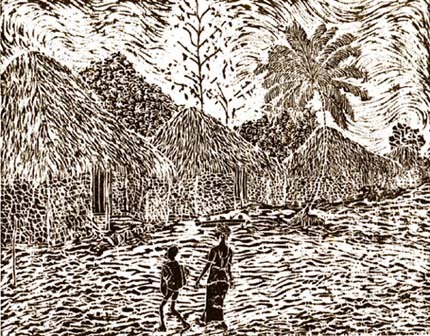 A typical West African village scene, circular houses built of clay bricks and cone-shaped thatched roofs. 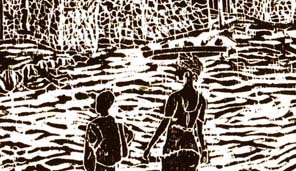 Printed on mulberry bark Japanese printing paper made from plant fiber, with visible chips of wood bark embedded in the paper. Edition size: Not exceeding 100.